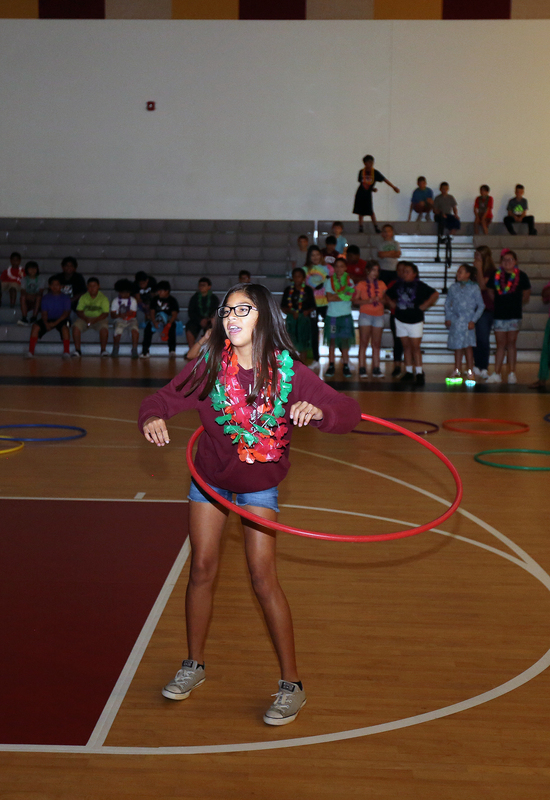 BRIGHTON — A Hawaiian theme filled the Pemayetv Emahakv Charter School gymnasium June 1 as students participated in end-of-year activities with teachers and staff in Brighton. 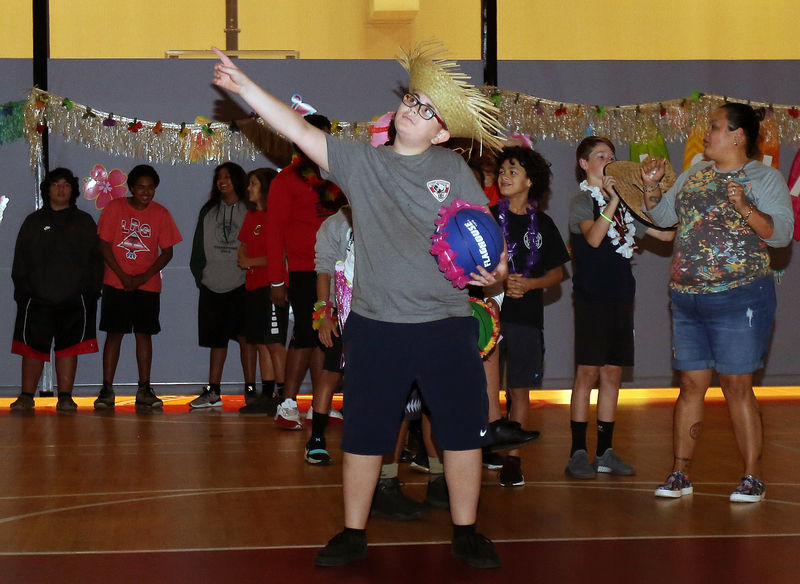 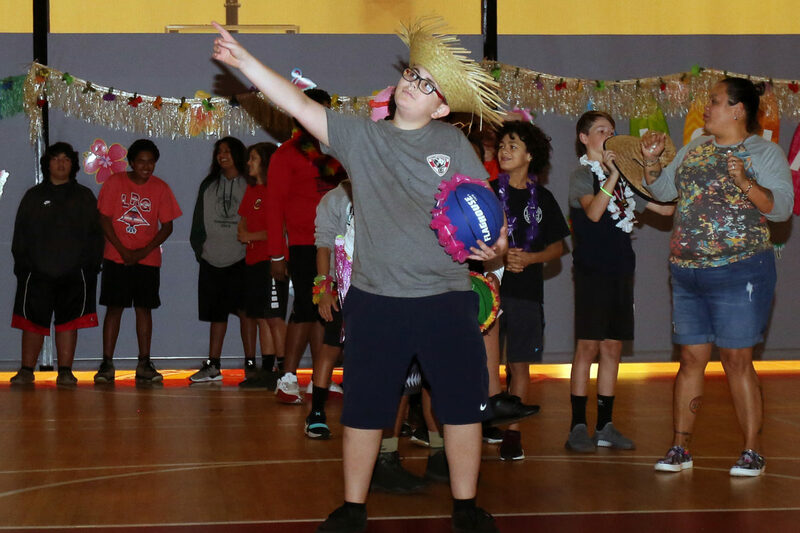 Among the glow necklaces, beach balls, (plastic) grass skirts and inflatable palm trees were groups of the 308 students in all grades at the school who made their way in and out of the gym for fun and dances. 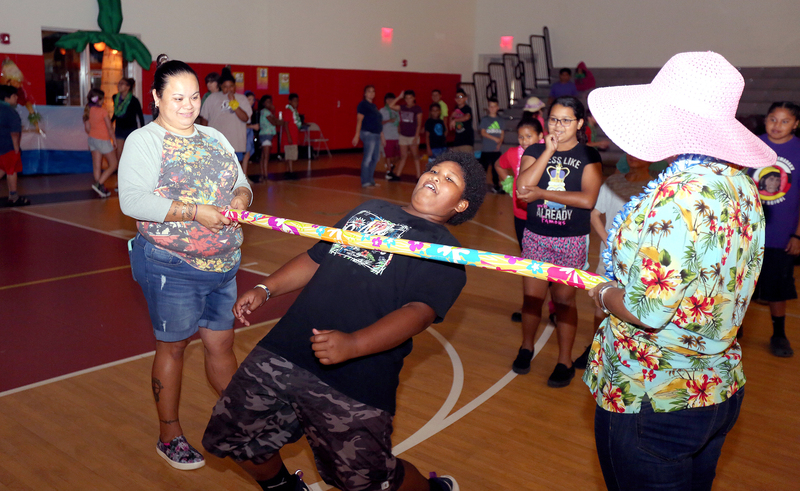 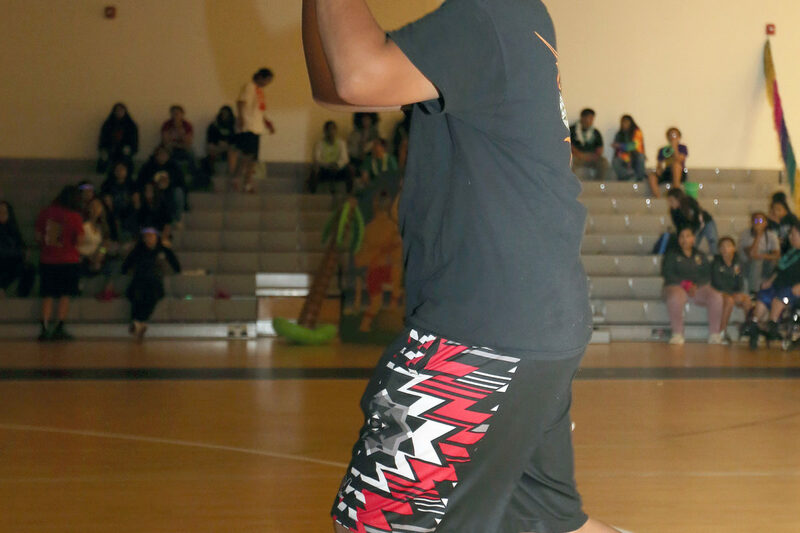 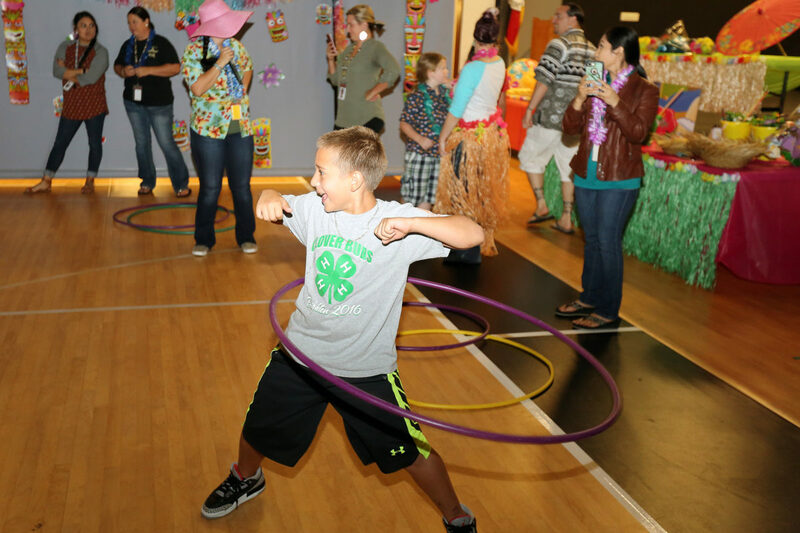 Students participated in line dancing (complete with the Macarena), a hula-hoop contest, limbo line and a basketball shooting game, among other fun activities. 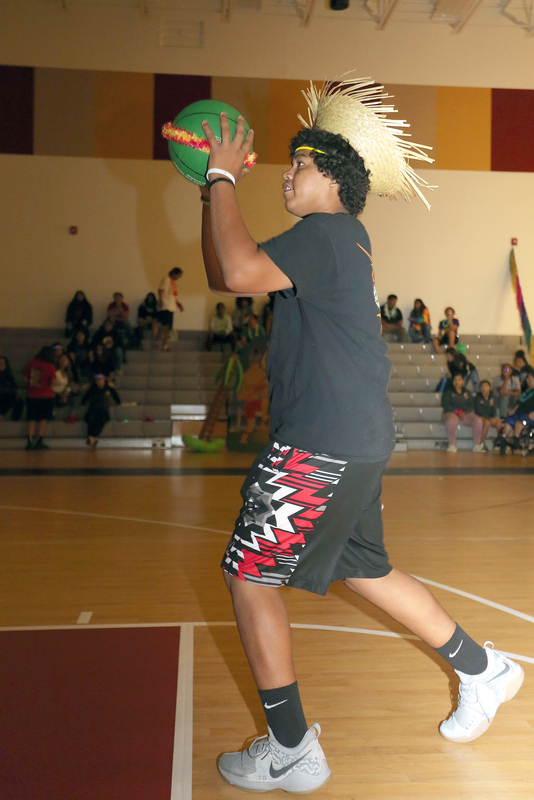 PECS culture instructor Jade Osceola was the “cruise director” for the day’s festivities. 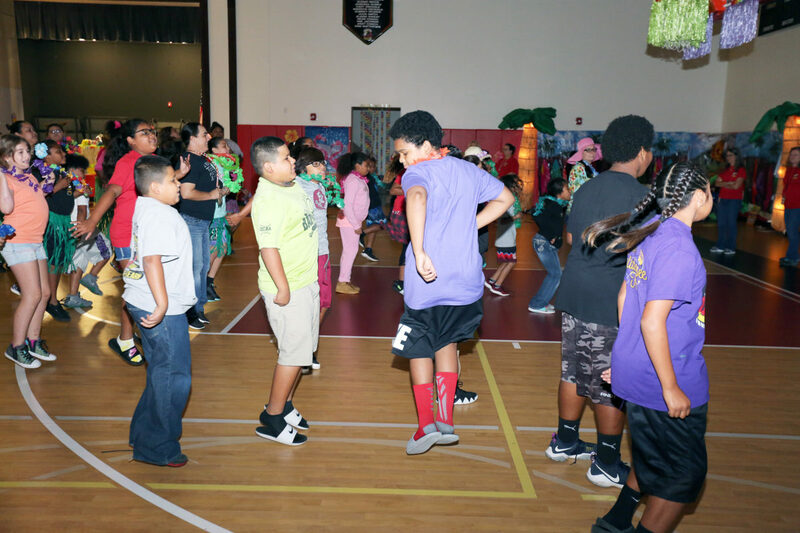 Dressed in a Hawaiian shirt and pink hat, she emceed the event and led the kids through their dances and friendly competitions. 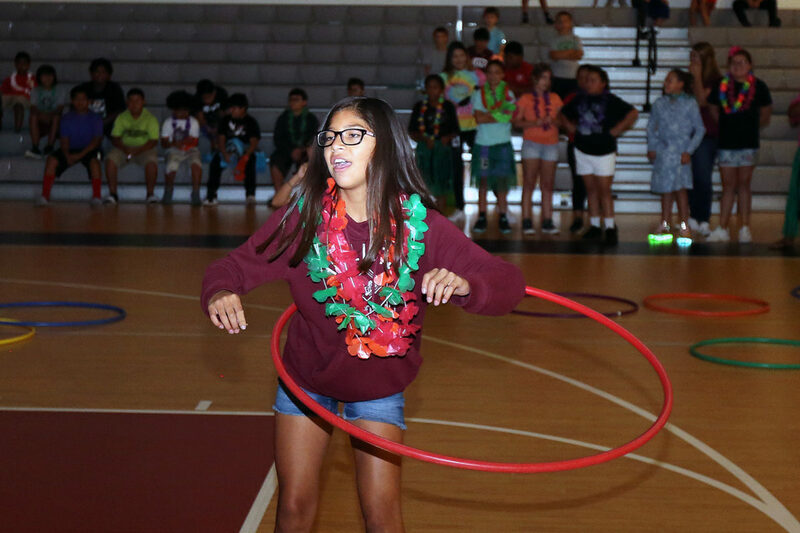 Starting bright and early at 8:20 a.m., students from the middle school took to the gym floor to do their dance, followed by the third, fourth and fifth grades. 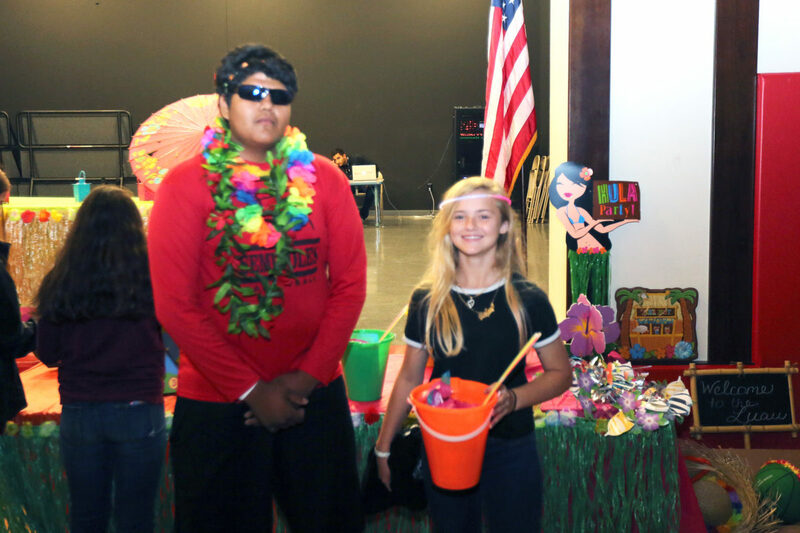 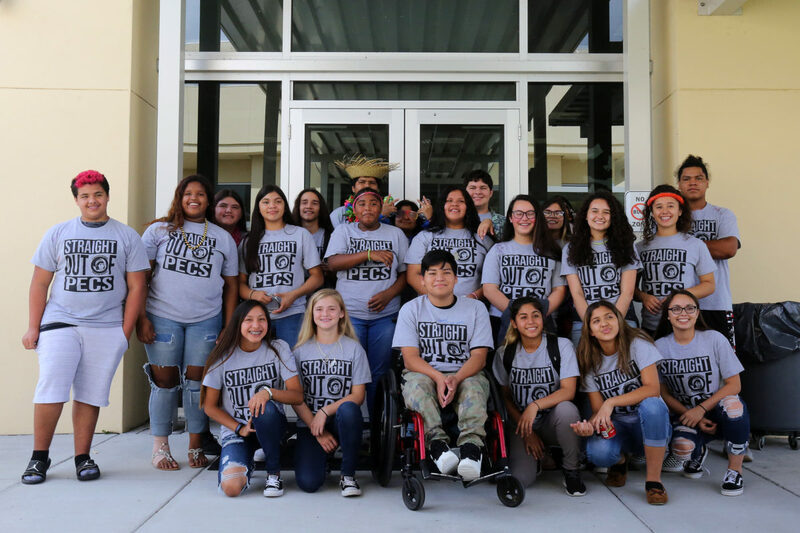 Once those students wrapped up activities at the gym, the eighth-graders prepared for their campus walk thru, passing by the classrooms of all the other grades around the school. 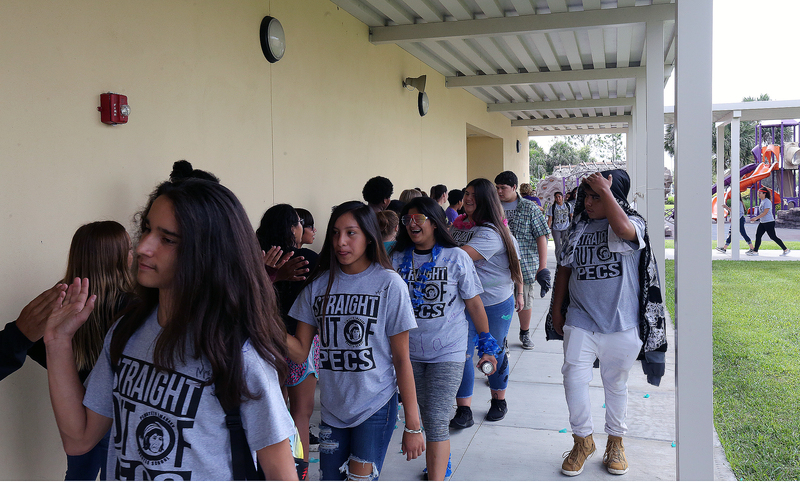 The kids cheered them on as they walked around campus to the PECS Media Center for a reception and slideshow. PECS is in its 11th year of operation. 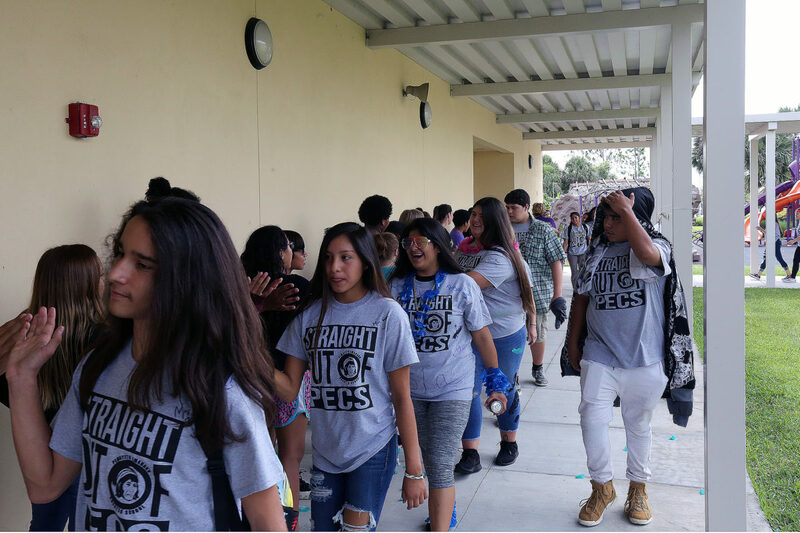 Construction began in the fall of 2006 and the doors opened in August 2007 to 123 students. 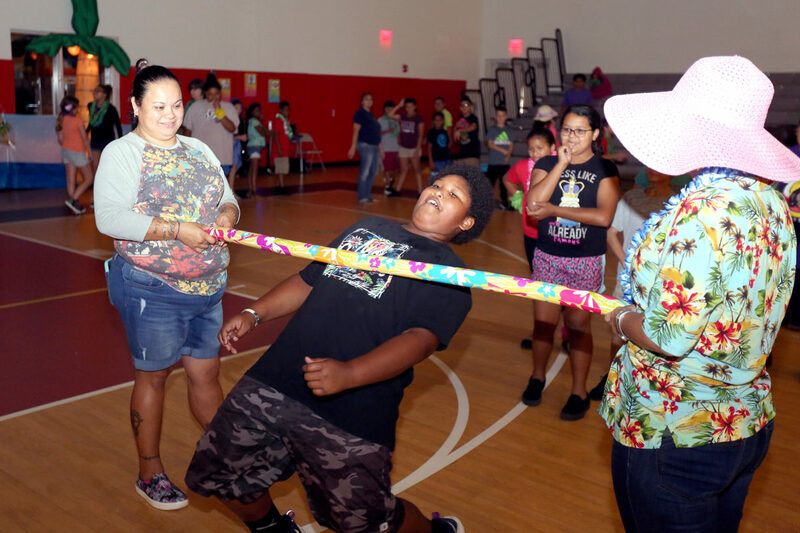 In August 2010, PECS became a K-8 grade school.